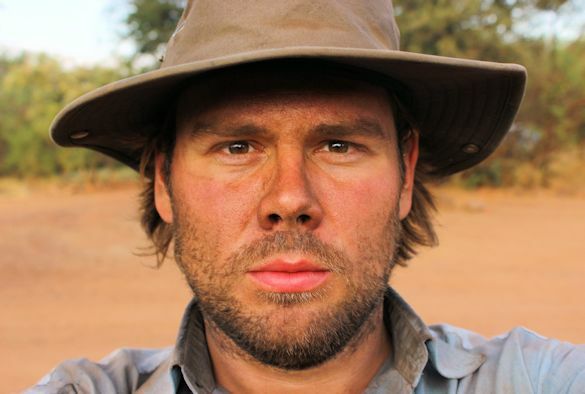 “My work in the Serengeti focuses on fire, how it affects herbivores and how we can manage it. The Serengeti is one of the most iconic areas in Africa, home to the famous wildebeest migration, Ngorongoro Crater, Olduvai Gorge and a host of protected areas. It covers about 30,000km2 and around half of it burns every year. That’s equivalent to three quarters of Wales – Wales apparently being the standard unit of measurement for things like this. Most people I meet think that fire is a bad thing and that’s understandable. 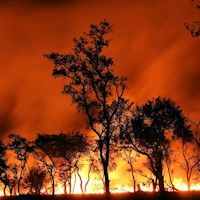 The messages we receive tell us that fire is an unnatural and destructive force: from the first time we watch Bambi to the headlines about wildfires burning out of control in California, Australia and more recently Israel. The truth is far from this. Plants began colonising the land around 470 million years ago and pretty much as soon as they’d dried out they caught fire. From charcoal and ash deposits we know that from this point on fire has been a constant presence on every continent except Antarctica. 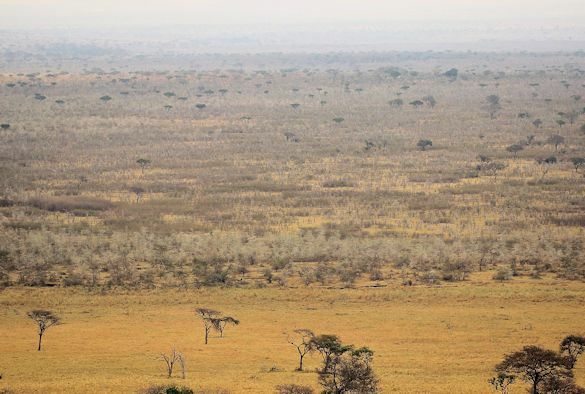 Savannahs are particularly prone to burning and in the Serengeti there are many species which show adaptations to the frequent fires. Indeed without fire the open grasslands for which the Serengeti is famous would likely disappear to be replaced by thorny scrub and trees. Fire removes old dead grass and herbivores of all kinds are attracted to the lush new growth that replaces it. In turn herbivores can graze an area so heavily that either fire cannot spread at all or is much cooler and patchier. 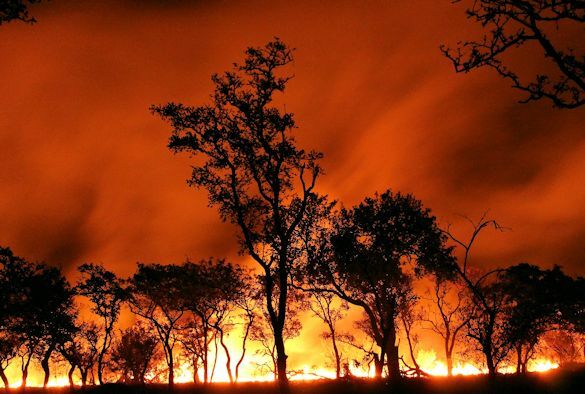 The balance between fire and herbivory effects many aspects of savannah ecology so it’s important that we understand it if we are going to successfully manage the Serengeti. I spent 6 months on fieldwork in 2015, another 5 months in 2016 and last Thursday I got back from a final 3 weeks of data collection. Now I have a little over a year to analyse all my data and write my thesis. 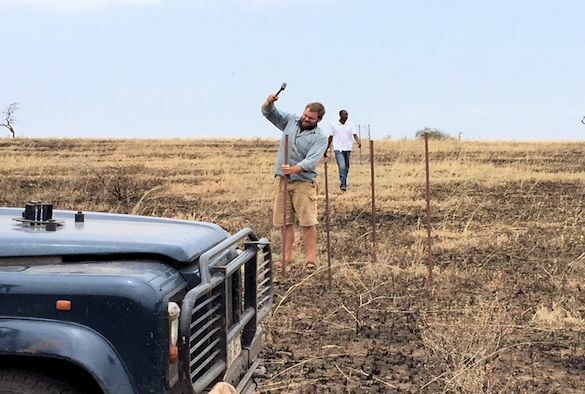 I set up 60 plots across about 1000km2 of the Serengeti, in each one I built several exclosures to keep out herbivores and then surveyed every plot as many times as I could. For each survey I took various measurement of grass and forbs, counted dung, put up camera traps to record mammalian herbivores, used pitfall traps and sweep nets to look at invertebrate herbivores, collected soil samples to look at soil nutrients and collected grass samples to look at how nutritious the grass was. Working in the Serengeti is amazing but comes with a whole host of challenges. Imagine frantically performing the actions for “head, shoulders, knees and toes” whilst navigating your car down a bumpy dirt track and frequently yelping in pain. This is the reality of driving a car in tsetse fly country. The slower you go the more tsetse flies appear so you can probably imagine what it’s like to stop the car, get out and spend a few hours slowly wandering around counting grass. Several times the local wildlife caused me to abandon a survey. On one occasion a buffalo emerged from a nearby bush, charged my Land Rover and bent the front bumper inward by several inches. On another a hyrax got into my engine and nibbled the wires, stopping my headlights from working and causing the horn to beep intermittently of its own accord. And I’ve lost count (or perhaps tried to forget) the number of days I’ve spent digging my Land Rover out of the mud. To find out more about postgraduate opportunities with the University’s School of Environmental Sciences, visit this webpage.